At what point did Ayefele Music House become an illegal structure? 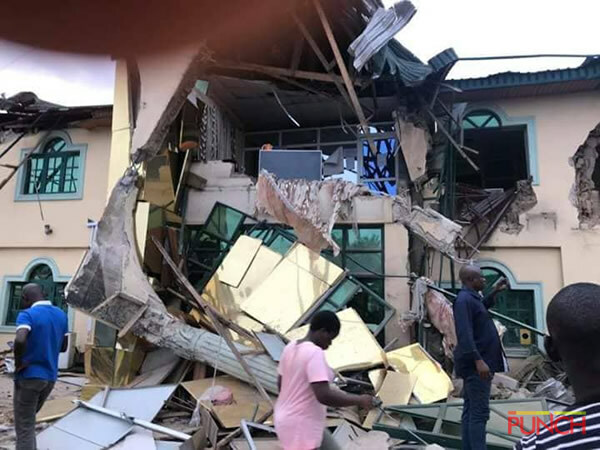 Sunday, August 19, 2018, will remain an unforgettable day for Ibadan-based popular musician Yinka Ayefele as a part of his cherished investment, the Ayefele Music House was pulled down by bulldozers, allegedly directed by the Oyo state government. The state government’s action has been condemned by many Nigerians owing to the fact that Ayefele had gotten a restraining order from a court halting the demolition. The Music House began operation in 2008 as the musician’s official office. It has a digital recording studio, an event centre and several other businesses. It also houses Fresh FM, which began its operation in the building in 2014 after operating as an online radio for about three years. The demolition of the building reportedly worth N800m has affected over 100 jobs directly or indirectly. Many believe the demolition has a political and vindictive undertone because the land was approved by the Oyo state government. The state’s ministry of works, land and housing and other agencies approved the building. The construction was done in the full glare of the government and its officials while its operation was regulated by various government agencies as expected. When the state government embarked on its urban renewal project, the building’s fence was demolished to give way for the expansion of the road which made its fence closer to the building than before. According to Yinka Ayefele’s manager, David Ajiboye, the building and all its business units have since inception paid millions of naira in dues, taxes, and land use charges to the state government. However, the state government through the Ministry of Works insisted it was an illegal structure without approval and has caused at least three road accidents in the past few months. But it begs to question, how an illegal structure was allowed to remain at the same location for almost ten years? Why did the state government collect taxes and other payments from an illegal structure for such a long duration? Why did the state governor, Abiola Ajimobi in 2016 visit the radio station, housed by an illegal structure, where he showered encomiums on the owner? These are some of the issues the state government failed to address before proceeding with the demolition. Even if the structure was illegal, why did the Oyo government grant it all the necessary approvals? The demolition was done in bad faith and it sends a bad signal to would be investors about the suitability of Oyo for investment. One thing is sure, Ayefele will bounce back but this stain will remain with Governor Ajimobi for life!